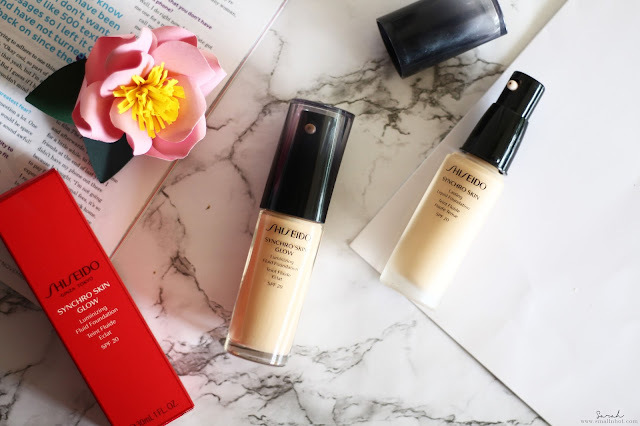 Shiseido Synchro Skin Glow Luminizing Liquid Foundation - Dewy or Simply Oily ? Shiseido Synchro Skin Glow Luminizing Fluid Foundation. A smart, hydrating foundation that works with your skin’s condition throughout the day for a dewy glow without any shine. Delivers a luminous finish with buildable coverage while the lightweight, serum-like texture feels as if you’re wearing nothing at all. 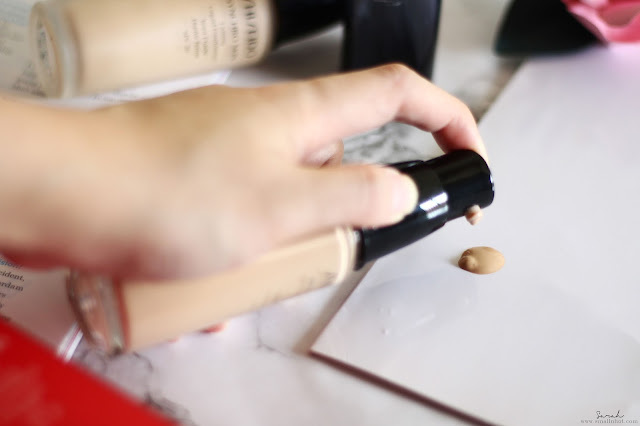 You'll LIKE it if you have dry and normal skin because the foundation delivers a dewy finish. You'll HATE it when it gets overly "dewy" throughout the day, if you have oily skin. The formula is quite similar to the previous Shiseido Synchro Skin Lasting Liquid Foundation. It blends in well and the coverage is definitely buildable from sheer to medium coverage. For dark eye circles, you still need to top up with concealer, as for redness on the skin, it just disappears under the Synchro Skin Glow Luminizing Liquid Foundation. Aside from that, you will also notice that even though when you build it up to 2 to 3 layers, it still feels light on the skin. It just looks like your second layer of skin. As you may have figured, the finish is a dewy finish and very long lasting especially for those with dry and normal skin. But if you have slightly oily skin, it can get overly 'dewy' or maybe we should say just 'oily', after about 4 to 6 hours or so it starts to break down and get patchy, but it's nothing that a touch-up can't sort out. 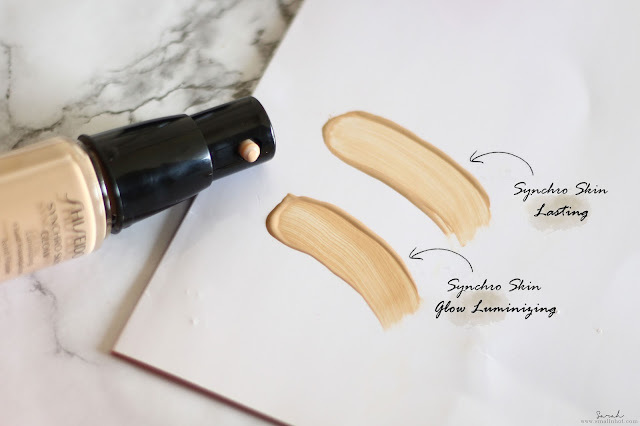 Overall, the Synchro Skin Glow Luminizing Liquid Foundation is a win for us. There are 13 shades in total and the range is quite decent for light to slightly darker skin tone. It would be great if they expand their darker shade selection to cater to more people, since the formula and texture is great to work with. Highly recommend anyone with dry and normal skin to give this a try because it's has a just nice amount of dewiness. As for greasy gals and guys, I suggest the Synchro Skin Lasting Liquid Foundation for a satin and slight dewy finish.